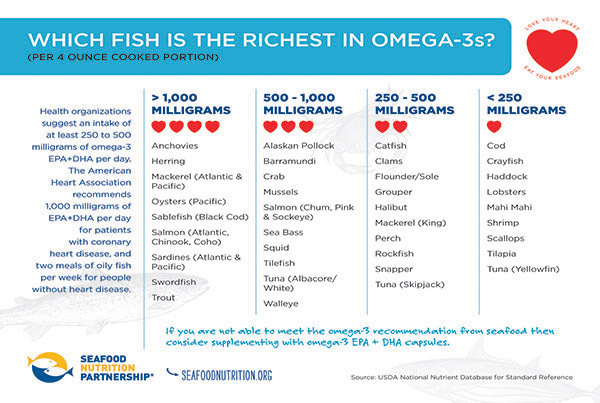 Which Fish Is Richest in Omega-3s? Health organizations suggest an intake of at least 250 to 500 milligrams of omega-3 EPA+DHA per day. 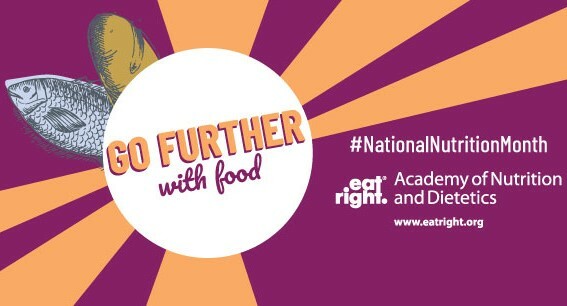 March is National Nutrition Month, a nutrition education and information campaign created annually by the Academy of Nutrition and Dietetics. Which fish is most abundant in omega-3s? 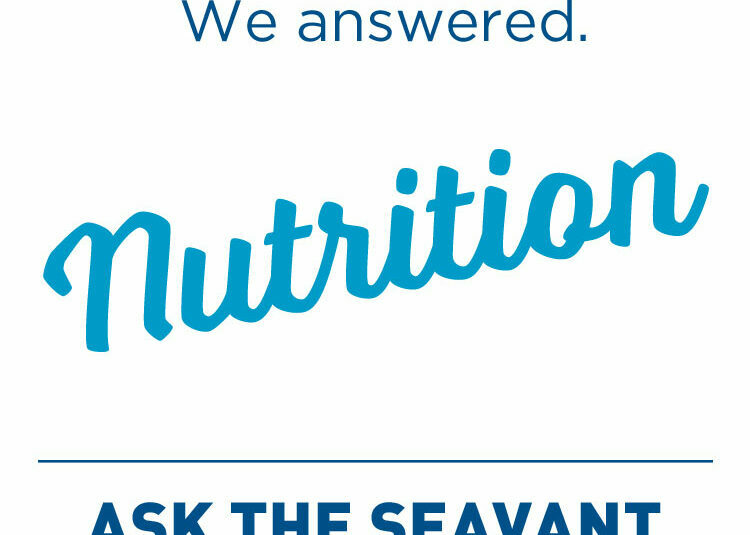 On average, what is a good amount of fish to eat on a weekly basis? 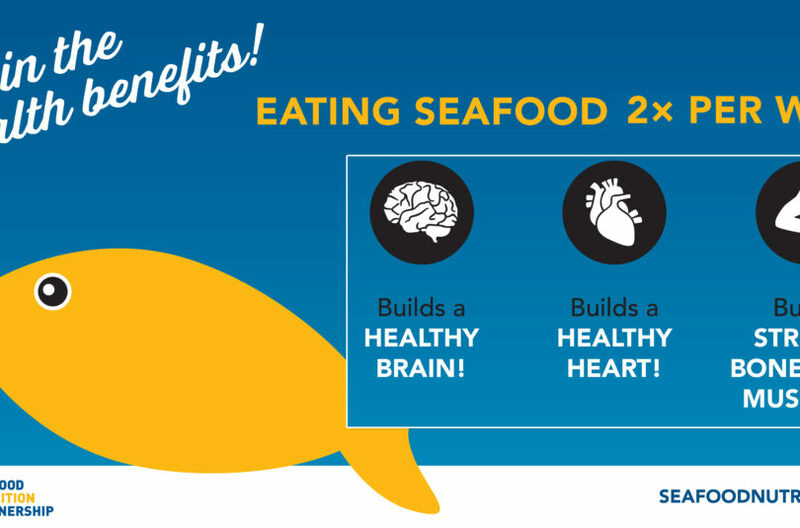 When kids eat at least two servings of seafood each week, the benefits are big.